March is here, and that means spring is just around the corner. With spring comes fresh starts, new beginnings and unique perspectives – which happens to align perfectly with this week in Manitoba. Hone in on your creativity and start the season with a new outlook and new experiences. Embark on a celebration of community and heritage at the Gimli Ice Festival! This annual event has fun activities for the whole family in various locations on the ice of Lake Winnipeg. 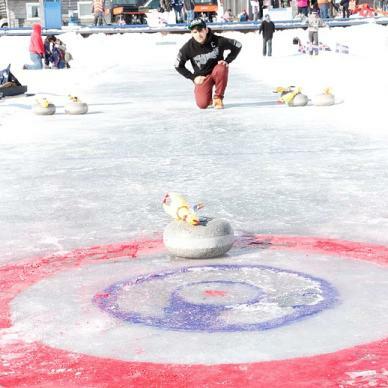 Events include mini-sled racing, snow sculpting, a baking auction, Viking Indoor Village Life Display, bannock and tea, kids ice fishing, a frozen fish toss, and the Fire on Ice car racing championship. Wander the Exchange District in search of incredible art. First Fridays is dedicated to bringing together artists, artist-run centres, galleries, businesses and the public for a greater understanding, appreciation and promotion of the arts in the Exchange area. 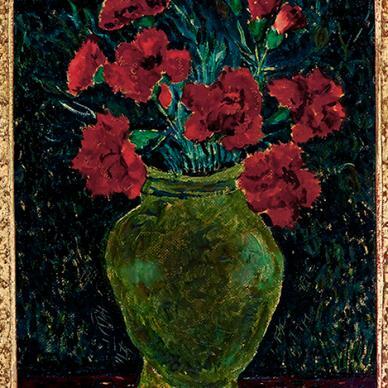 Christopher Wood, Carnations in a Green Vase, c. 1925. oil on canvas. 28.1 x 23.4 cm. Collection of the Winnipeg Art Gallery; Gift from the Estate of Arnold O. Brigden, G-73-283. Photographer: Ernest Mayer. Morris & Co. English, 19th century. 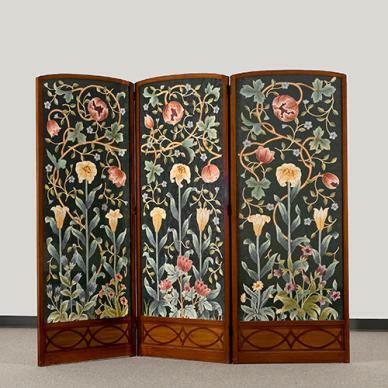 Designers: Morris, May; Jack, George., Draught Screen, 1890–1900. mahogany, silk damask, silk thread. 92 x 229.5 x 3.2 cm Collection of the Winnipeg Art Gallery Gift of an anonymous donor, 2009-427. Photo: Ernest Mayer. In celebration of Art in Bloom 2017, Nature Rearranged looks at the influence of flowers in the last century of Canadian and European art. In this exhibit, still-life paintings are displayed alongside exquisite English porcelain from WAG’s renowned collection. Not so fast – winter isn’t over yet. Norway House is gearing up for its annual winter celebration, and there’s plenty of activities to be excited about. Depending on your talents, you might consider attending the square dancing, jigging and singing events. If that’s not up your alley, head over to the Monster Bingo, Texas Hold’em and Crib events. There’s something for everyone. Ride out to Beausejour to cap off on an exciting race season at the 54th annual Canadian Power Toboggan Championships! Watch racers from all over North America compete for the top spot on Beausejour’s popular half-mile ice oval track, renowned for its speed and safety. Explore and appreciate more than 100 varieties of Scotch, Irish, Bourbon, Tennessee and Canadian whiskies at the Winnipeg Whisky Festival! Along with the wide array of whiskies, you will also enjoy a diverse selection of mouthwatering cuisine available throughout the entire evening. All attendees will receive a souvenir Glencairn Whisky Glass and a taxi voucher for a safe ride home. 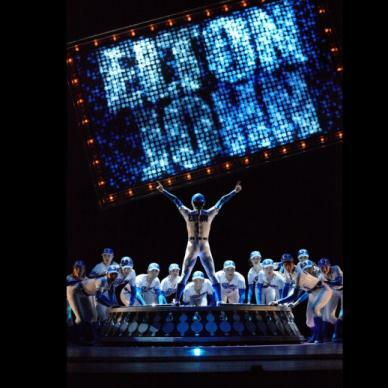 What happens when you combine 14 classic songs by rock legends Sir Elton John and Bernie Taupin with multimedia ballet? Excess, drama, eroticism and plenty of extravagant costumes. Jean Grand-Maître’s Love Lies Bleeding depicts a musician’s rise to fame and the consequences of superstardom. Enjoy a delicious day in Gimli celebrating Bolludagur (Cream Puff Day)! Watch interviews from Icelandic-Canadian Folkculture Reflections: A Manitoba Documentary while you feast on a fresh Bollur – Icelandic cream puffs complete with jam, whipped cream and chocolate! While ChristieFest may have come to a close, the master playwright and author’s Black Coffee will be sticking around for just a little while longer. This intriguing, hilarious, typically British performance centres on the death of Sir Claud Amory, a wealthy, demanding scientist preoccupied with his inventions and obsessed with locked doors. For a crack at this whodunit right alongside the brilliant protagonist Monsieur Poirot, you need only go as far as the John Hirsch Mainstage. It’s ice fishing derby season in Manitoba, and now is the best time to show off your angler skills and win big prizes. Compete with other anglers for more than $25,000 in prizes at the Lac du Bonnet Ice Fishing Derby on March 4. 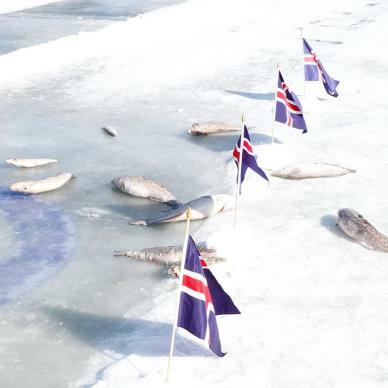 The derby is a fun-filled, family-oriented day of ice fishing on the Winnipeg River. For a tale of survival and spirit, one need only look back into Canada’s history and the story of Elle which is now playing at Prairie Theatre Exchange. Set in the 1500s, Elle chronicles the adventures and hardships of one woman who is marooned on a desolate island off the coast of Newfoundland as she finds humour in her ordeal and connects with nature both real and spiritual. Join three amigos on their journey to discovering the meaning of life in a post-9/11 world. The Tony-award-winning theatrical hit American Idiot by Billie Joe Armstrong and Michael Mayer will descend on the Tom Hendry Warehouse Theatre and will feature the music of award-winning band Green Day. The Royal Manitoba Theatre Centre is hitting the road for its rural theatre tour, presenting Last Train to Nibroc to small towns and cities across the province. The romantic comedy sets its scene on a cross-country train holding both F. Scott Fitzgerald and Nathaniel West’s coffins. Two young people meet and engage in literature, religion, life’s changes and their home state: Kentucky in a light-hearted, delightful comedy about chance encounters. See the performance in Minnedosa on February 17, Deloraine on February 28, and MacGregor on March 1. Housed in the oldest brick building in northern Manitoba (built in 1916), the must-see Sam Waller Museum houses exhibits related to natural history and northern culture, along with oddities such as costumed fleas collected by late naturalist, teacher and taxidermist, Waller. While the winter months may lack the patios that we Winnipeggers hold near and dear to our hearts, it’s just as nice to settle into a cozy restaurant on a snowy evening and get your fill of comfort food. Try something new at one of these 10 restaurants that will warm your soul (and belly) this winter.